Product Features: Easy operation:Plug and play, no extra driver is needed. 3-in-1. 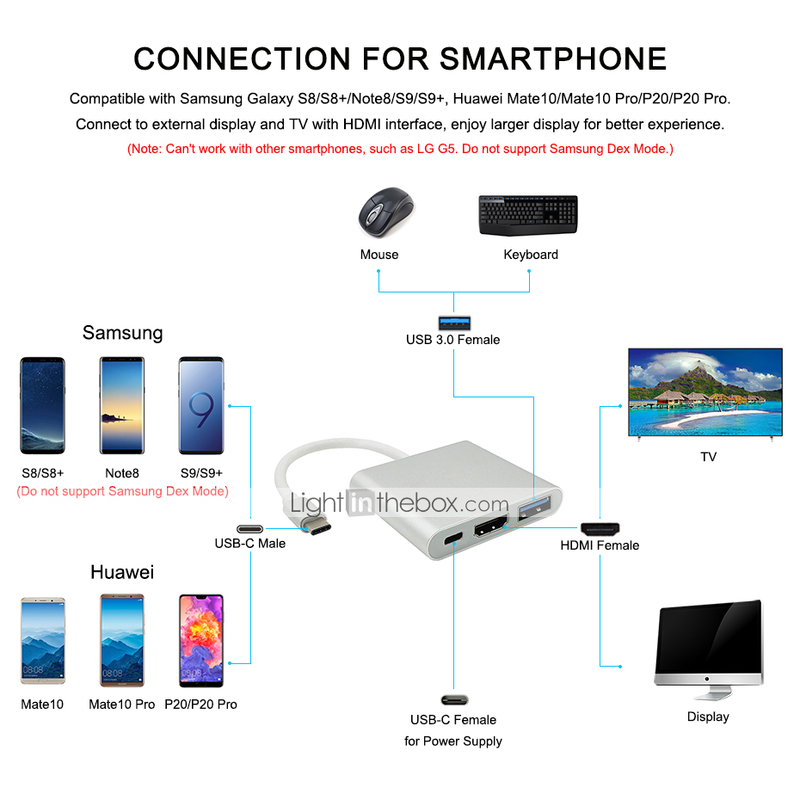 This Multiport Adapter convert your type-C port to 1x USB 3.0 port, 1x HDMI video output and 1x USB-C power charge port. Can work with Samsung Galaxy S8/S8+/Note8/S9/S9+, Huawei Mate10/Mate10 Pro/P20/P20 Pro. ( Do not support Samsung Dex Mode or Nintendo Switch. For other smartphones, this adapter will be not compatible with them. ) 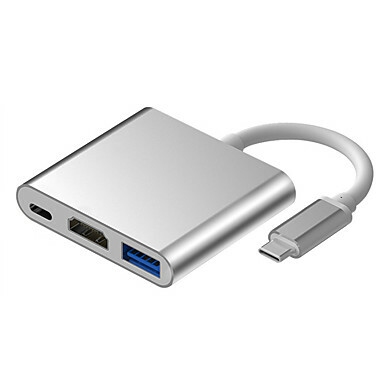 USB 3.0 Port:Allow you to connect an external keyboard, mouse, or USB flash drives. Backwards compatible with USB-2.0. Transfer your data easily. 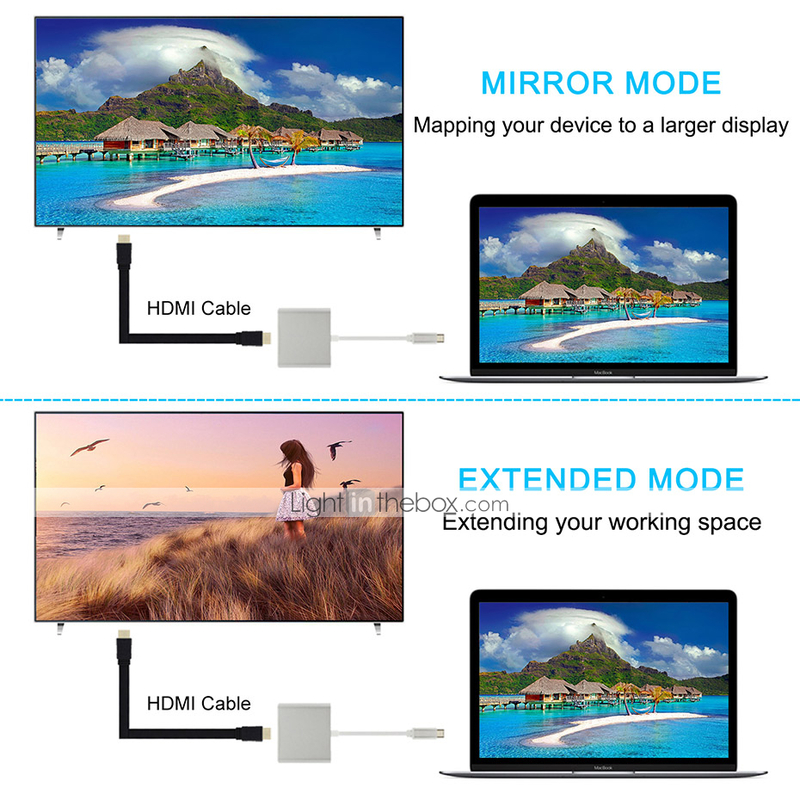 HDMI Port:Supports the video resolution up to 3840X2160@30HZ with the compatibility of most monitors, projectors, HDTVs and other devices with HDMI port. 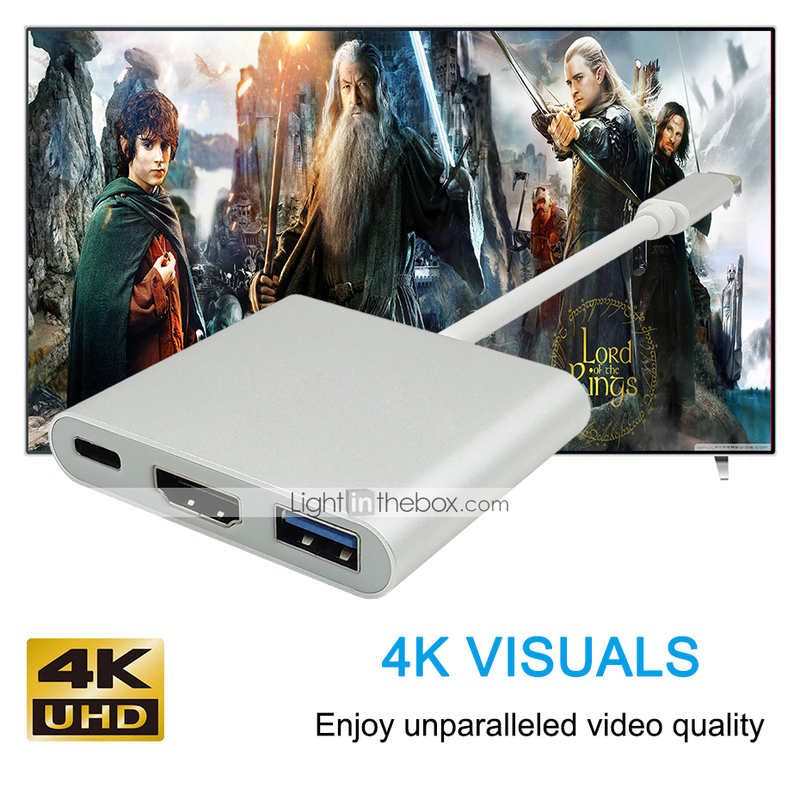 Enjoy UHD video with your family and friends. 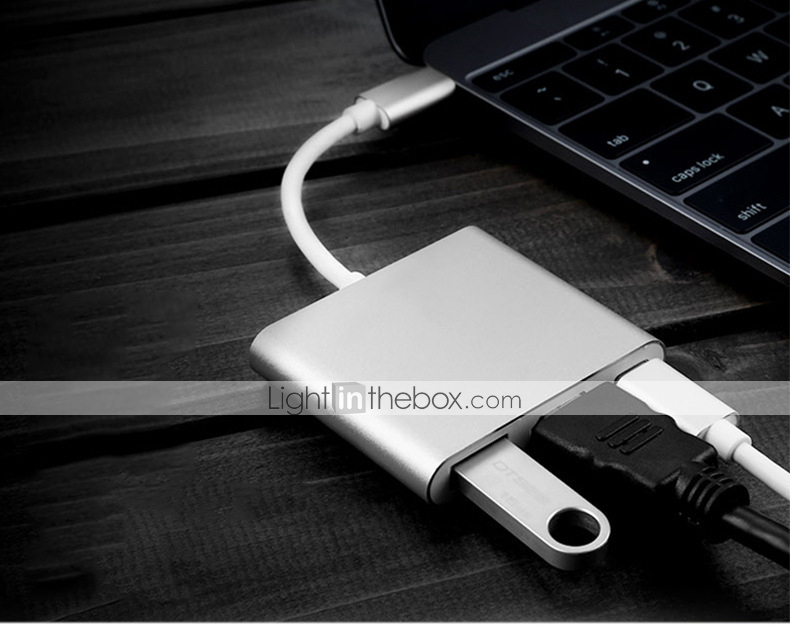 USB C Female Port(PD/Power Delivery Charging Function):This Hub can charge your type-c host device via type-c power adapter while using the HDMI port and USB 3.0 port. High-performance digital chip processing-PS176HDM:Improves the signal transmission, makes the signal more stable, real 4K resolution. You can enjoy high definition videos and images with no lag on a large screen. That's the difference between our products and other products. Aluminum Housing:Sleek design and resisting corrosion, the aluminum shell ensures better heat dissipation, provide rigidity and offers you better signal performance. ( If your device is not in the list, please don't even hesitate to contact us before placing the order. ) Notice (This is very important): 1. 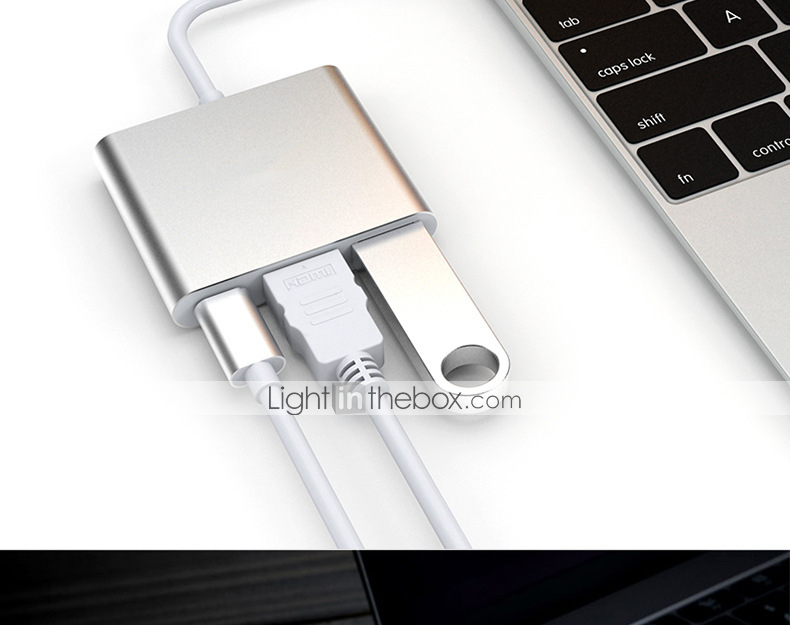 This adapter is compatible with laptop only, it will be not compatible with Nintendo Switch, Tablets, Tablet PCs or Smartphones (except Samsung Galaxy S8/S8+/Note8/S9/S9+,Huawei Mate20/Mate20 Pro/ Mate10/Mate10 Pro/P20/P20 Pro). 2. 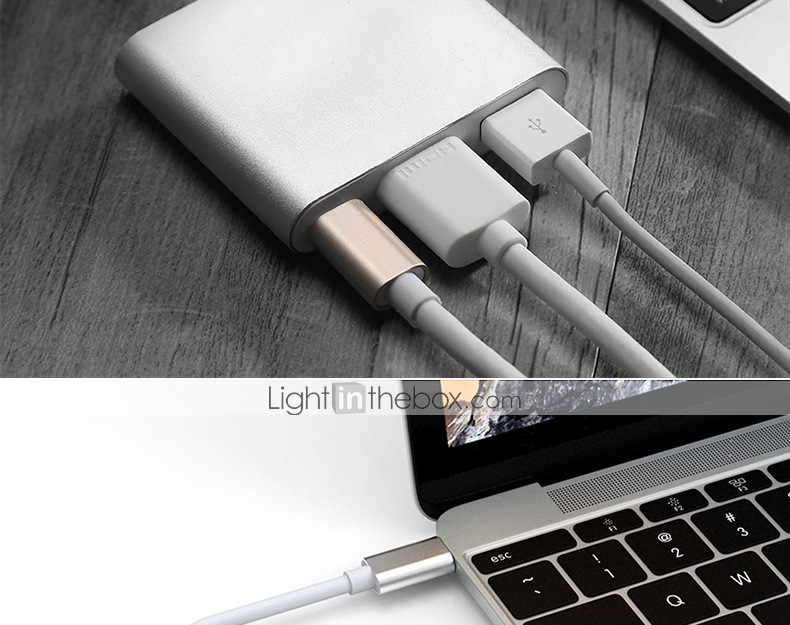 Your laptop must support DisplayPort Alternate Mode (DP Alt Mode) via USB-C. 3. If the product doesn't work, you can visit the official website of your laptop, update the BIOS and graphics driver. Then keep the adapter connecting with your devices, and restart your devices. 4. If the resolution of your laptop is higher than the external monitor, please go to Setting --> Display --> Advanced Display Settings, set your laptop's resolution same as or lower the resolution of external monitor. 5. For some compatible devices,it might take a few seconds for the data to synchronize from computer with your monitor, please be patient. 6. DO NOT connect other adapter/converter to this adapter for a second signal convert, we can't guarantee it works well. 7. Type-C female connector only supports charging your type-c host device, do not support data transfer. 8. 4K resolution requires a 4K equipped source, HDMI V2.0 cable, and output display. 9. This isn't a bi-directional adapter. 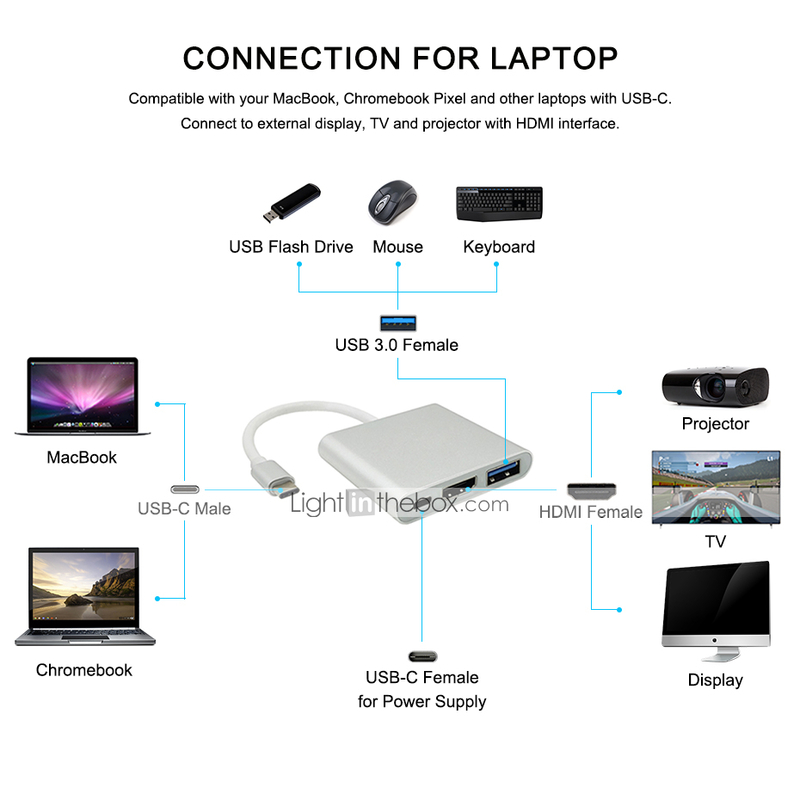 Can only convert signal from Type-C to HDMI/USB3.0/USB-C port. 10. If you are in wireless network zone, please switch to 5Ghz transmission signal if your router/Wi-Fi supports. 2.4Ghz signal may have conflict with the adapter. 11. Do not support Samsung Dex Mode. 12. 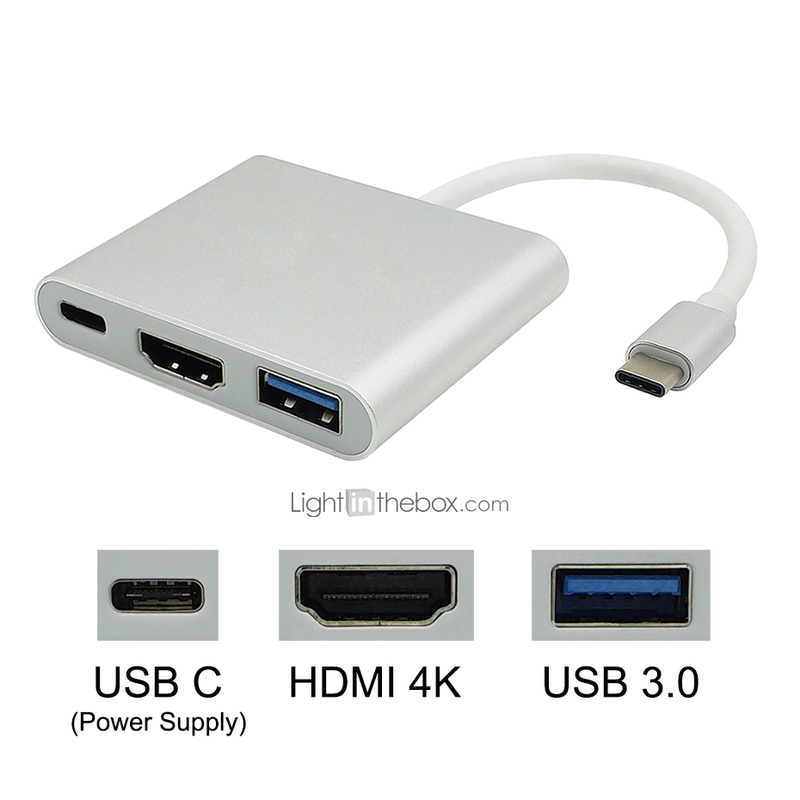 For some compatible devices, the USB 3.0 port sometimes can not work normally. This problem is caused by the incompatibility of the system, not by the product itself.